Please check the support site for detailed information about how to get the most out of kanji Flow. 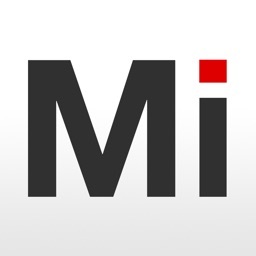 kanji Flow allows you to import kanji and words directly from imiwa? so you don't have to spend a lot of time making new cards. 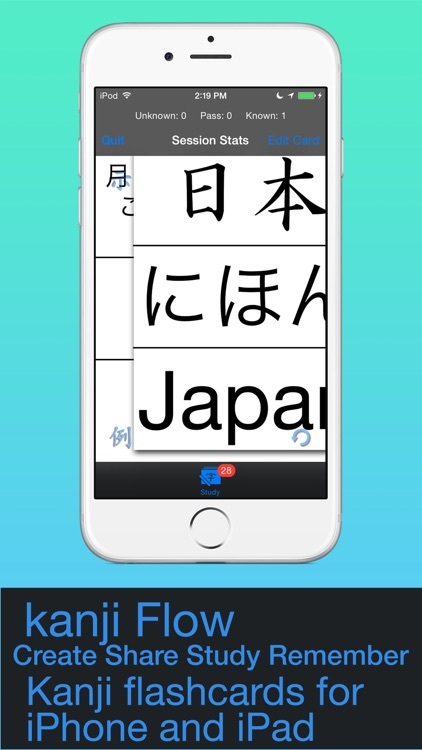 You can search directly for mnemonic stories when studying kanji and you can import example sentences for words and example words for kanji so you can memorize new kanji quickly and study your words using appropriate context. 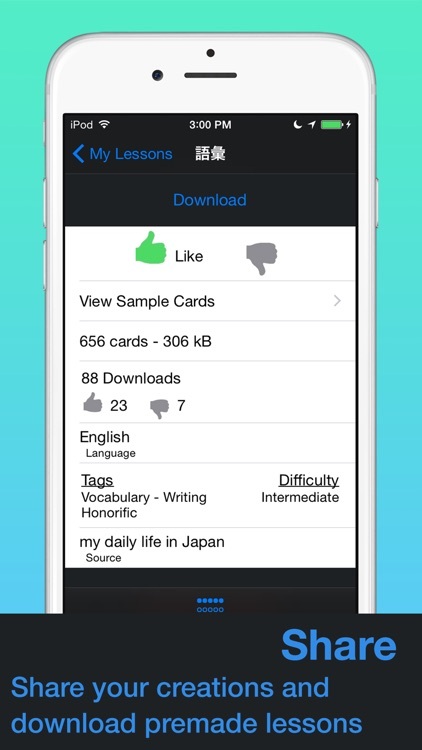 kanji flow features CloudKit integration so you can share your cards with the world and download lessons created by other users to start studying immediately. - An SRS, memory algorithm (based on the SM2 algorithm) study system that makes more efficient use of study time for users that have a large number of cards to study and/or a limited amount of time available. 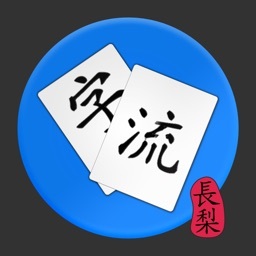 kanji Flow will determine when you should study each card for optimal memorization; ensuring that you only study the kanji that are most difficult for you to recall without wasting time reviewing kanji that you already know well. Don't worry about falling behind if you forget to study for a couple of days; you can re-synchronize the study due dates for every card with a single tap. 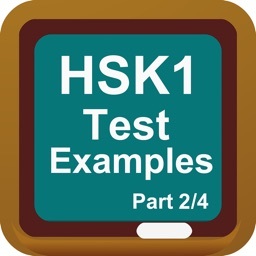 - A Leitner style, stack-based study system for users that prefer the simplicity of that method. Five selectable stacks are available for dividing your cards by difficulty. Please do a web search for "Leitner system" for more information. 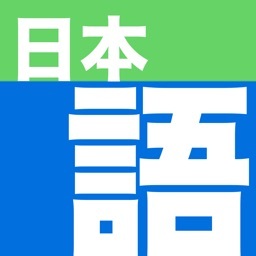 A huge examples database featuring 12,000 of the most common words for over 2800 kanji characters from the JMDict and example sentences for almost 100,000 words from Tatoeba.org. You can also add an unlimited number of your own examples to each card. 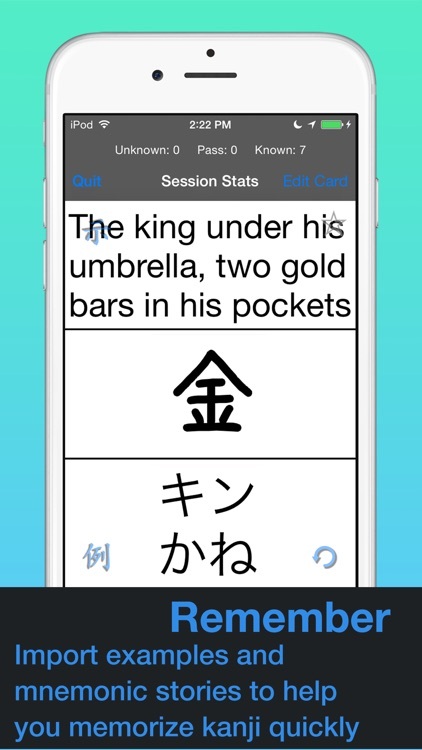 Help yourself memorize new kanji with creative, mnemonic stories from kanji.koohii.com. Add the most commonly used words or words with different readings. Use example sentences to show what kinds of situations certain words are normally used. 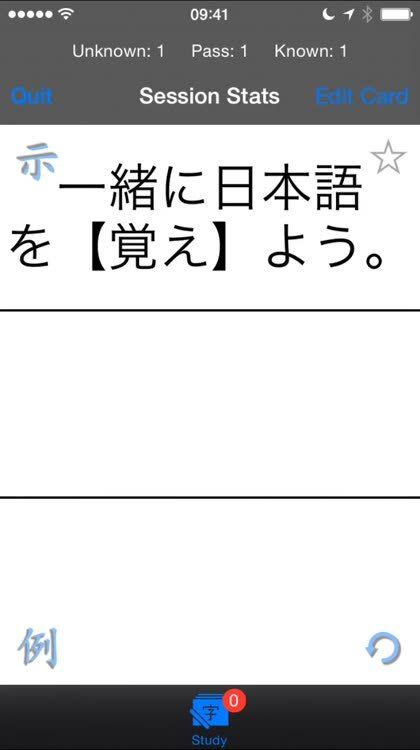 There is a direct link to search for mnemonic stories on the Kanji Koohii website which can then be copied and imported. Example words and sentences will be displayed automatically with no extra effort on your part. With speech synthesis powered by iSpeech® you can practice listening to and repeating your words and example sentences with a natural, human quality text to speech reader. 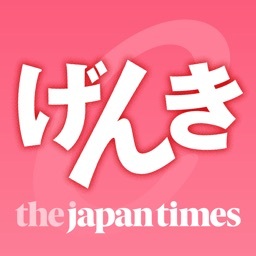 Besides Japanese, numerous languages are available for reading translations (this feature requires a network connection). 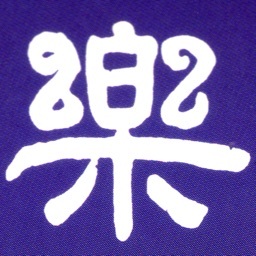 kanji Flow uses data from the JMDict managed by the Electronic Dictionary Research and Development Group based on Jim Breen's EDICT project and example sentences from Tatoeba.org based on Professor Yasuhito Tanaka's Tanaka Corpus project. Please visit the website for more details and tips or feel free to contact me with any questions.